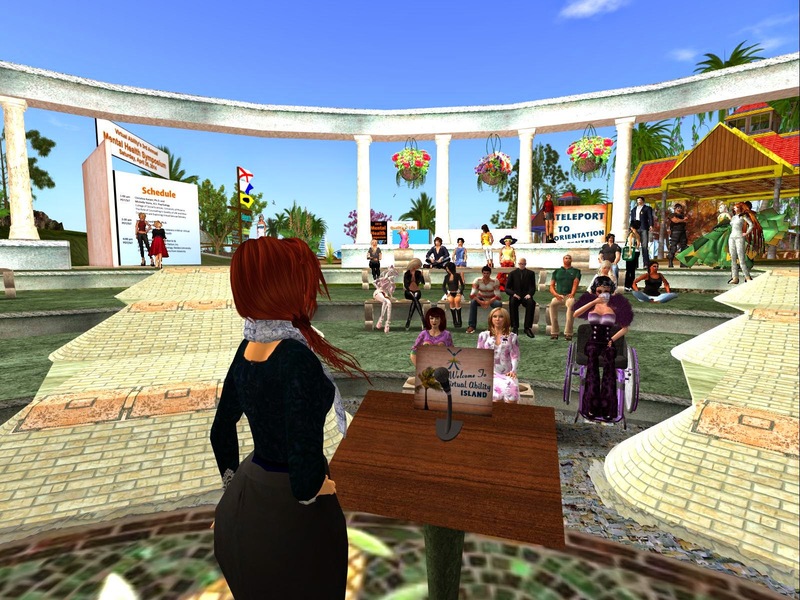 Virtual Ability, Inc. welcomes guest blogger CeleneHighwater as she shares her thoughts about the session entitled “A Healing Space built with Veterans in Mind: Virtual Worlds and Psychological Health,” presented by Dr. Jacquelyn Ford Morie, Ph.D., during the 2014 Mental Health Symposium sponsored by Virtual Ability, Inc. in Second Life®. The following represents CeleneHighwater's opinions and insights and we appreciate her sharing them. The “Coming Home” project as Dr. Morie called it, is a great idea for helping veterans affected by the trauma of war. It gives them a chance to deal with their mental health challenges in the privacy and comfort of their home in a convenient and low-stress environment. 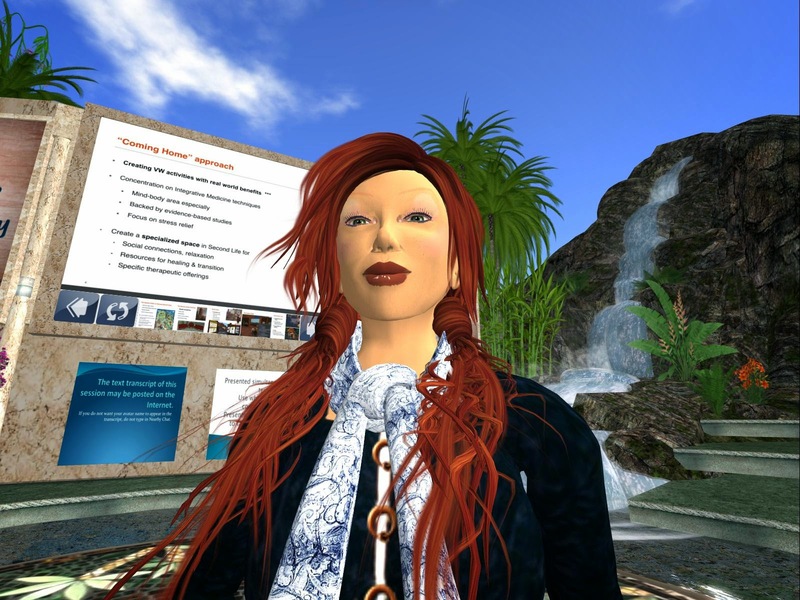 And since obtaining first a proper diagnosis, then effective treatment, can be difficult in the health care system of today, to me Second Life serves as the perfect alternative. Chicoma Island, where the veteran treatment center is based, offers a great example of technological advancement and an example of the calming and mental benefits that Second Life can have on those suffering from illnesses such as PTSD. One thing that was created to help reduce stress levels of participants was a HUD that monitored regular deep-breathing. The jogging track that was created utilized this HUD and the users’ normal breathing to make the avatar jog. The jog took roughly ten minutes to complete and Dr. Morie said that studies showed that the ten minutes of normal breathing had health benefits. Another thing she discussed that really captured my interest was the idea to have an on-going treatment center in Second Life for soldiers wishing to stay on active duty. Personally, I love the idea that when stressed or in need of counseling, a soldier could log on to Second Life and find the help that he/she needs. I think this approach could work for those in the civilian sector who also suffer from the effects of severe trauma and I hope that funding returns so this project can be continued.